Have your guests sign this rustic rose gold hand painted wood guestbook and forever keep the messages hanging in your home . This listing is for what’s pictured, a beautiful Rose Gold heart on a creamy white background with a distressed grey frame. 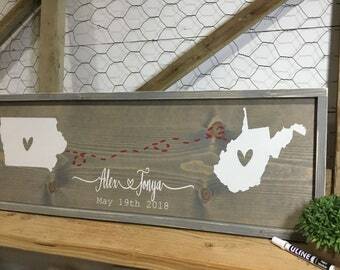 This Rustic Framed Wooden Wedding Guest Book is right on trend!! Due to our volume of orders we are also unable to send proofs before shipment. 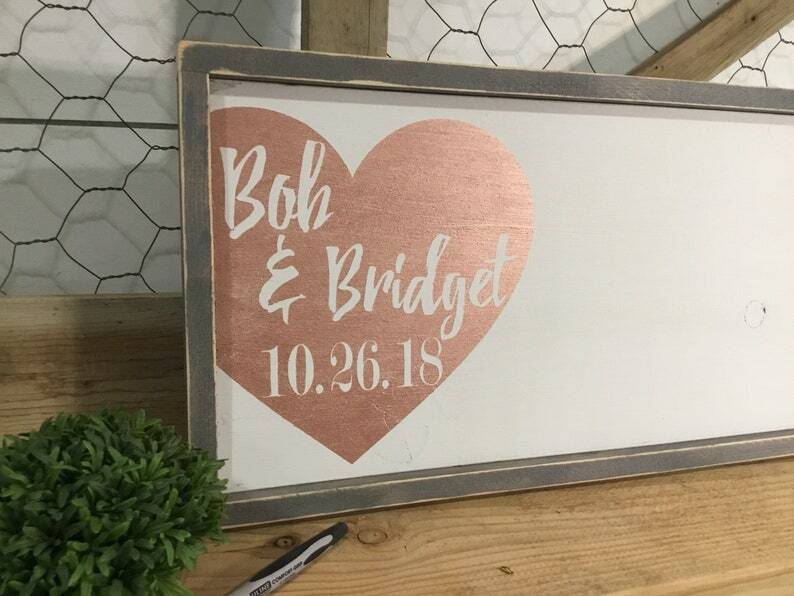 Love our guest book sign, it came out better than I could even imagine! Completely the wrong colors! They didn’t even completely paint it! So disappointed!!! I wont even be able to use it for my wedding. I wish you would have contacted us about any issues...how were the colors wrong? The purchase was for a rose gold heart, cream background and grey frame and that’s what we made and shipped...per our photos and descriptions the ends are left unstained at part of our design. Please send us pictures of your issues to discuss options.